Pepsi Pink: Carbonated Strawberry Milk? Home Ideas Pepsi Pink: Carbonated Strawberry Milk? Just in time for Japan’s â€œwinter party seasonâ€ comes Pepsi Pink, a blush-tinted cola which should sell well in the homeland of Hello Kitty. 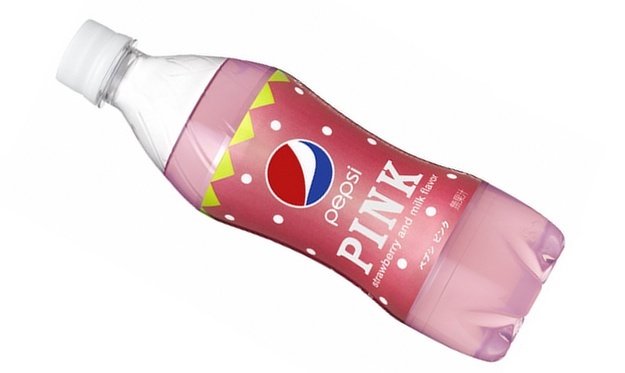 According to Pepsi Japan, new Pepsi Pink is bursting with the rich aroma and refreshing taste of strawberry milk. Is the world ready for carbonated strawberry milk, or at least Pepsi Japan’s interpretation of what such a hurl-inducing formula might taste like? Well like it or not, Pepsi Pink is coming: on November 8th, to be exact. Previous articleTruck Sales Up: Economy is Rebounding?